Does it seem unusual that a nutritionist is blogging about dessert recipes? Believe it or not, nutritionist aren’t perfect eaters, few humans are actually. It’s all about moderation! Do all these ingredients belong in a cookie? If I’m going to indulge, I want it to be made with love; I want to be able to pronounce all the ingredients. I find that homemade treats leave me with more satisfaction as oppose to store brand desserts. Does it really need all this sugar? A benefit of homemade desserts is you have control over all your ingredients. Do you really need to include all 2 cups of sugar? Answer is, probably not. And remember, it is all about moderation and when you choose to indulge, be smart and choose healthy! I think we have officially been bombarded by all that fall has to offer… including good ‘ole apple picking! 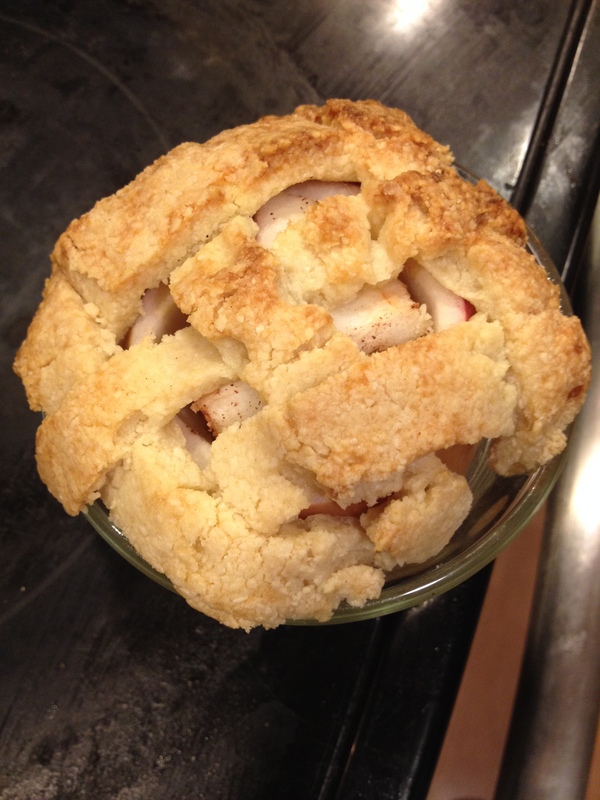 After apple picking last weekend, I wanted to recreate the beloved apple pie. Apples are naturally sweet, so it was easy to ditch the sugar usually found in pie. Then I remembered something I saw on the internet: I call it double apple pie. “Double apple” because the crust and filling are both apples! Appearance: One word, adorable! 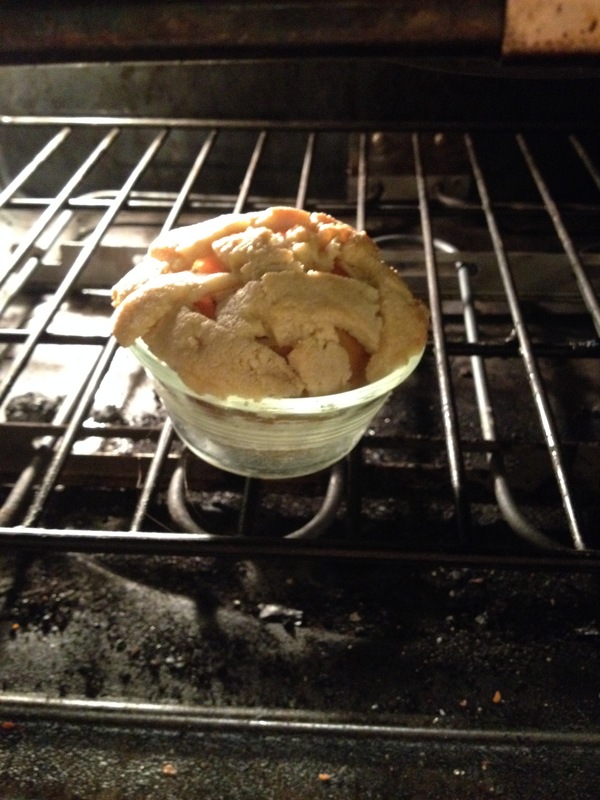 It’s an individual mini apple pie, and the pie top looks so elegant. Flavor: The crust was buttery and nutty, while the apple was sweet and cinnamon-y. It was a perfect combination! End Results: This was fun to make and I really liked how it was an individual serving. I suppose this would not be a good recipe if you were trying to make this for a large crowd. No added sugar, gluten free, filled with fiber from the apples; this stacks up to be a healthy alternative to the traditional apple pie. I would definitely like to experiment with other varieties of apples. 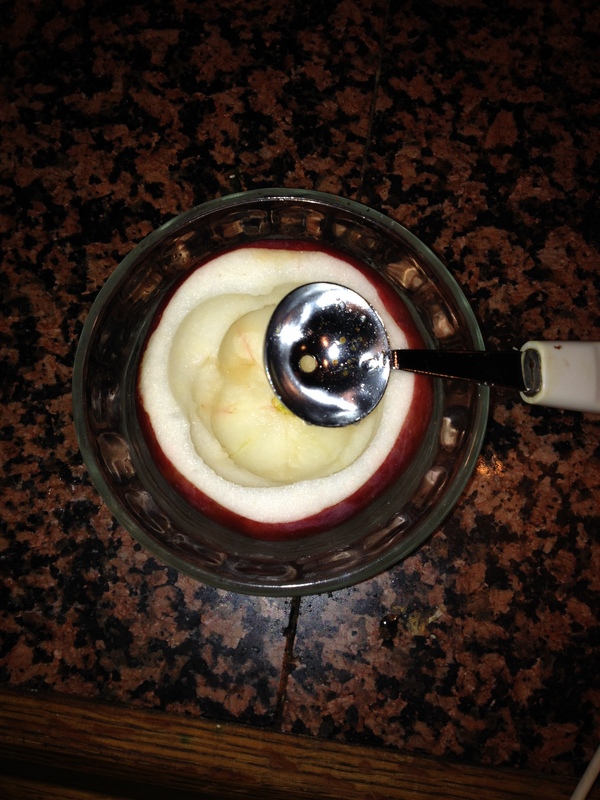 Cut the top off of one apple; use a melon baller to school out the majority of the apple. Remove the seeds and core from the one half of another apple, and give it a rough chop. Toss with the cinnamon. Add the chopped apples into the hallowed out apple. 3. 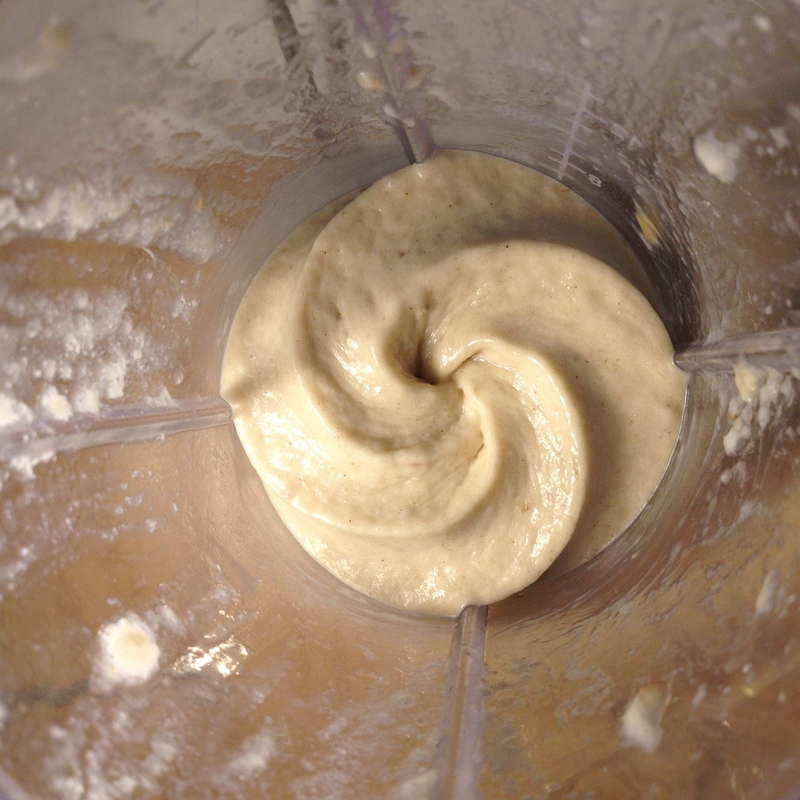 Mix almond flour, butter, and stevia. Use a fork to break the butter up. 4. 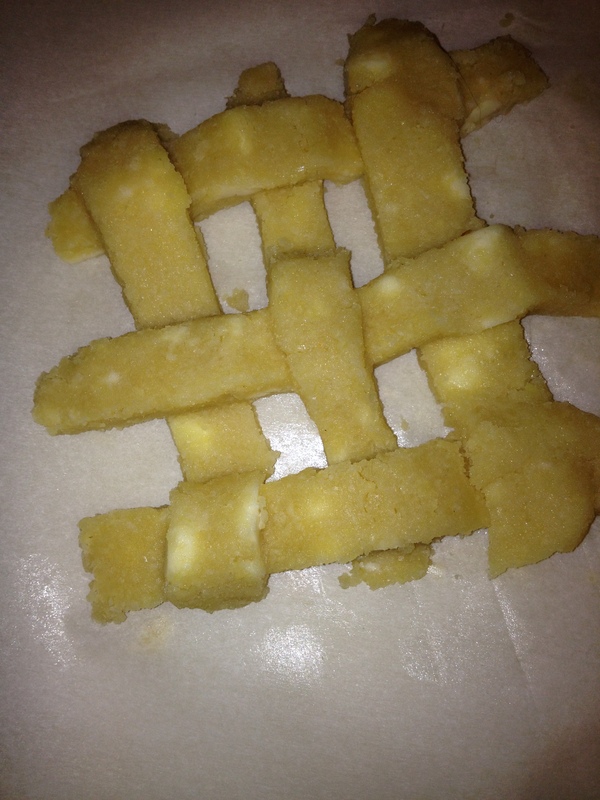 Cut dough into strips and make a lattice crust. **I was working on parchment paper to prevent sticking. 5. Invert the parchment paper so the crust is covering the top of your apples. 6. Bake at 350F for 30 minutes, or until crust is golden and apples are tender. 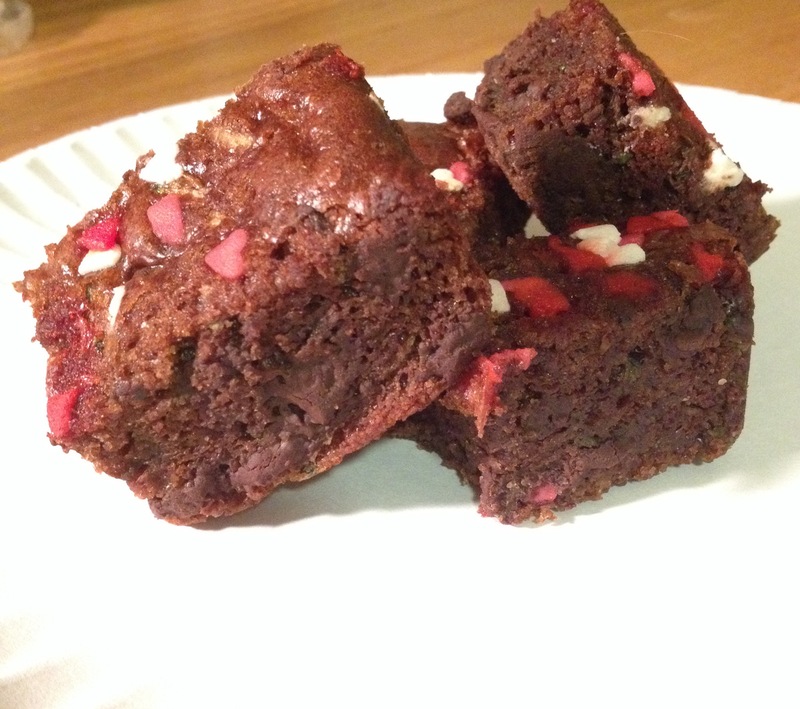 A brownie… for around 150 calories!?! That’s right! Most homemade brownies have upwards of 300 calories. And take a look at the recipe below, tons of good for you ingredients, and none of the usual junk! And the secret ingredient is……. ZUCCHINI. The best part, no one can taste the zucchini; your guests will only taste the delicious cholate-y goodness. So how do these compare to the classic recipe? 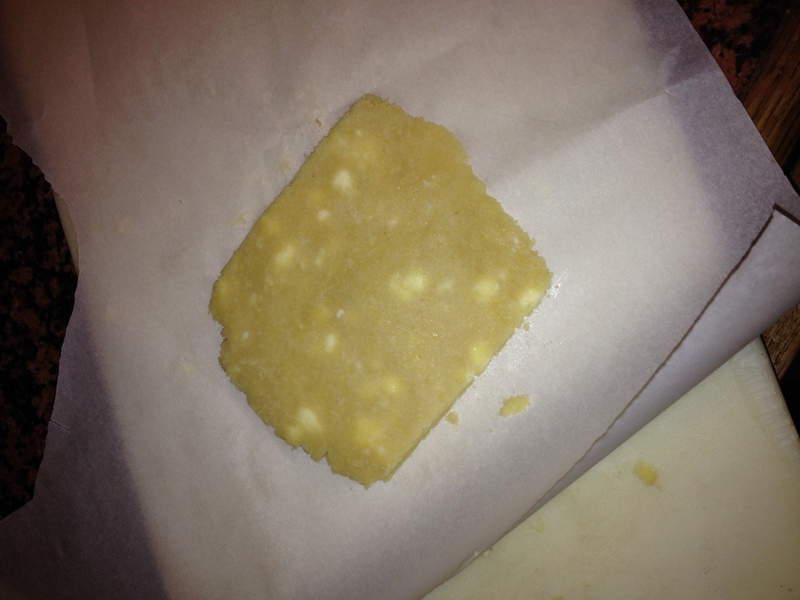 Texture: I found this recipe to be a little denser than regular brownies, but is that really a bad thing?! Flavor: These had a great chocolate flavor, don’t worry about tasting the almond butter or zucchini- I promise it all bakes away like magic. End Results: I would continue to make these again and again; everyone that tried one loved it! Many people thought they tasted just like a regular brownie. As with all the recipes on my blog, there is nothing processed. Using zucchini adds some fiber to this dessert as well as a host of other vitamins, and dark chocolate provides many powerful antioxidants in addition to some minerals . 3. Pour into a greased 9×9 baking pan. 4. Bake 25-30 minutes or until a toothpick comes out clean. You scream, I scream we all scream for… BANANAS?! Banana ice cream that is. 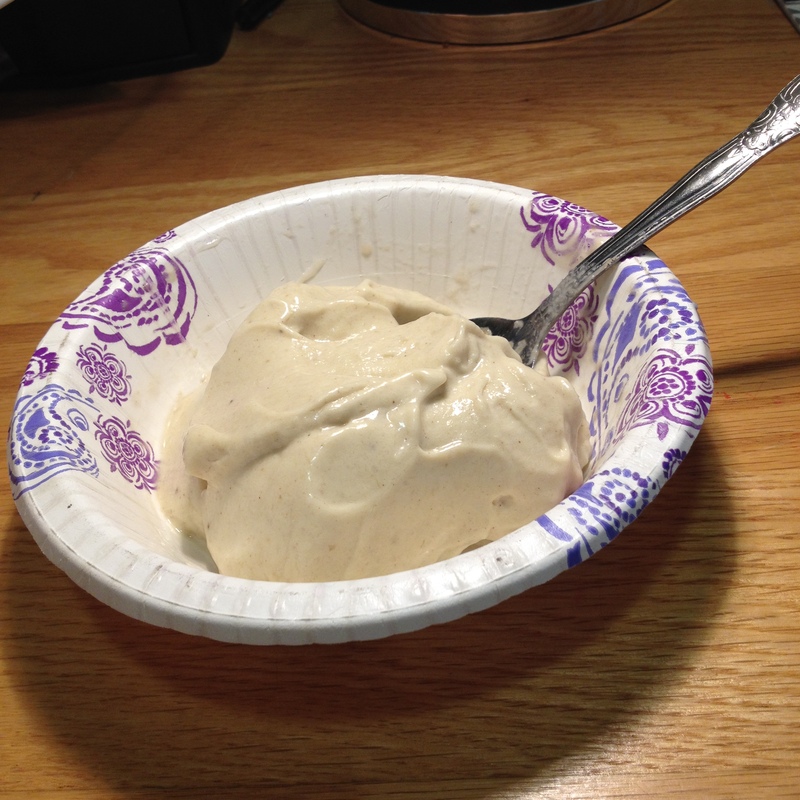 This week I tested out a very easy “ice cream” recipe that requires: frozen bananas and a blender. Appearance: I thought the results looked very similar to soft-serve ice cream, it was uniform and even; the color was very similar to a classic vanilla. Texture: Again, the texture was smooth and even and had a very ‘melt-in-your-mouth quality, which I loved! Flavor: I wish the final product was a tiny bit sweeter. I think using a very ripe banana might, or adding something like peanut butter, agave nectar, or vanilla extract might round out the flavor. End Results?It’s ridiculously easy to make, not to mention pretty cheap. It’s not only gluten-free, but also vegan. More benefits: there’s no fat, bananas are a good source of potassium, and there’s no added sugar or chemicals. Although I think the recipe needs a little work, it definitely has the potential to quench your ice cream craving on even the hottest days! 1. 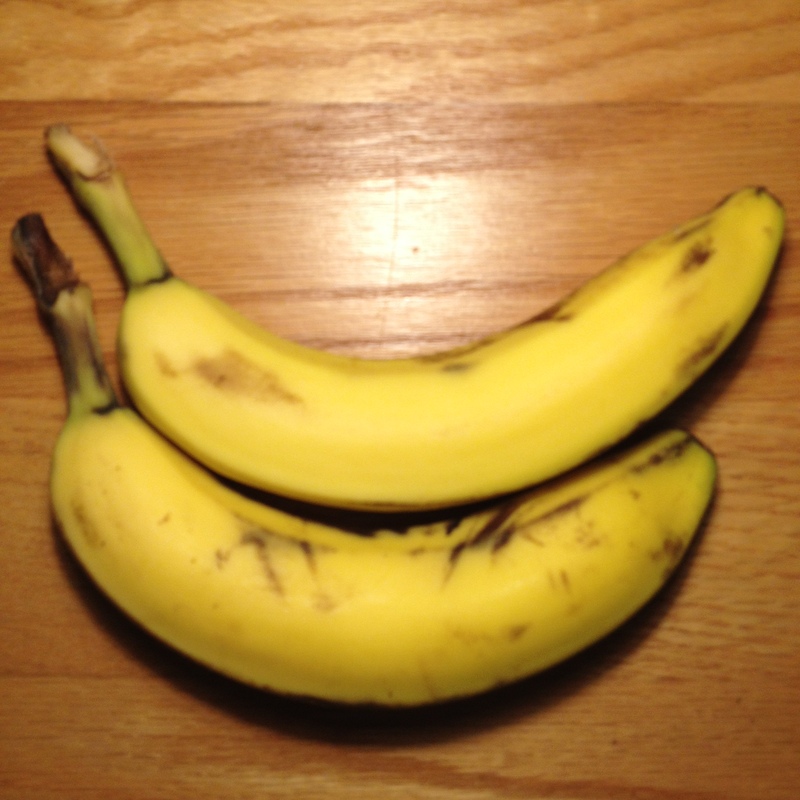 Slice up 2 bananas into about ½ inch slices. 2. Freeze banana slices until frozen solid. What is this healthy indulgence you speak of? Is there such a thing as a healthy dessert? Is it humanly possible to eat dessert without all the added guilt? My answer to both questions: yes! Of course, humans aren’t meant to have dessert every day of the week it’s all about moderation! However, I believe choosing to indulge in an after dinner treat shouldn’t stop anyone from living a healthy life. My goal is to design healthy modifications, tests the recipes, and blog all about my successes (and inevitable failures)! Dessert doesn’t have to be loaded with sugar, fat, and processed junk. By tweaking a few ingredients from classic recipes and picking ingredients in their most natural form, we’re left with some delicious treats that are often paleo, gluten-free, or vegan. It’s amazing what happens when you combine a little creativity with a passion for food and nutrition- I promise the results will be delicious!